Walk down most streets in London and you can small skunk, the strong, hot-house grown cannabis. 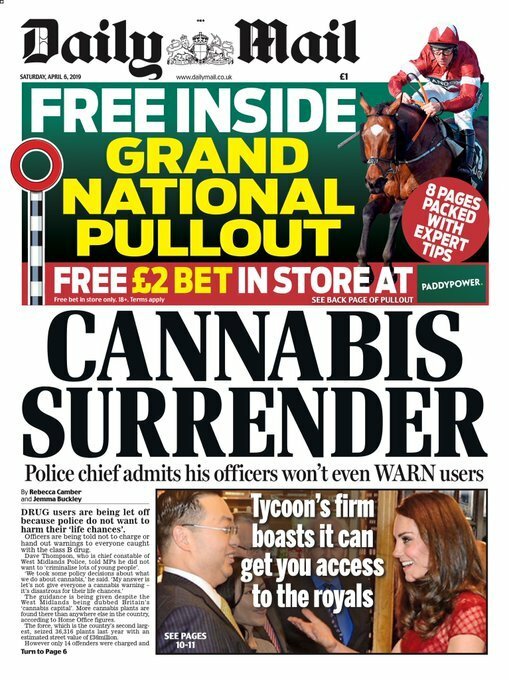 The Mail says cannabis is so commonplace throughout the UK that police don’t bother nicking people for smoking the stuff. Mrs Appleby had tried to get the treatment with a prescription. UK doctors can issue the drug legally. But she was refused because the medics say THC is a psychoactive compound found in cannabis and might be detrimental to Teagan’s wellbeing. So Emma asked for help via a crowdfunding campaign, raised some money and arranged to collect the blow at a Netherland’s pharmacy. A young girl with a severe form of epilepsy is back at home after receiving cannabis-based medication in a London hospital. Teagan Appleby of Milner Crescent, Aylesham, had up to 300 fits a day but her life-threatening condition has now stabilised. Doctors at the Evelina Children’s Hospital have successfully treated the nine-year-old who was born with the rare condition Isodicentric 15, a chromosome abnormality that has led to Lennox-Gastaut syndrome, a form of acute epilepsy. Teagan spends her days in a wheelchair. Would you take her medicine away and turn her mother into a criminal?